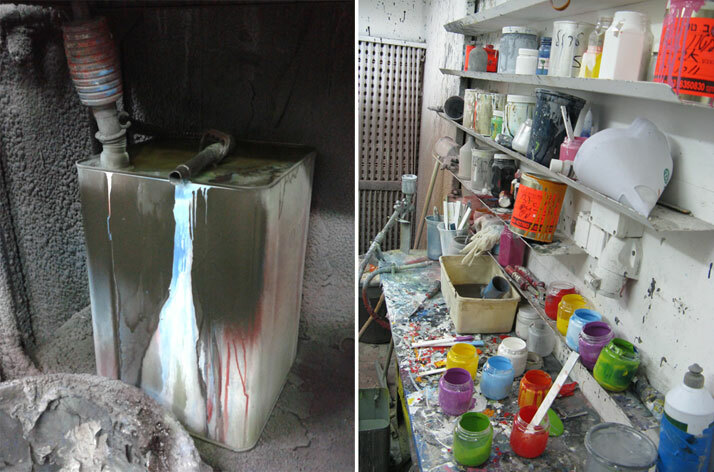 Painting factories and workshops are admittedly the dirtiest places in the design industry, especially those that use polyurethane paint. 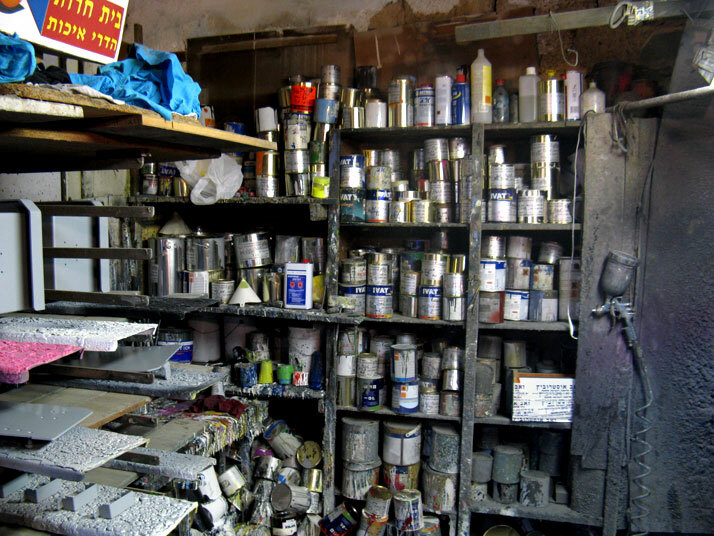 Because polyurethane paint becomes all but useless after it is mixed with its reactive components, every day huge amounts of it are simply discarded, ending up in dumps. 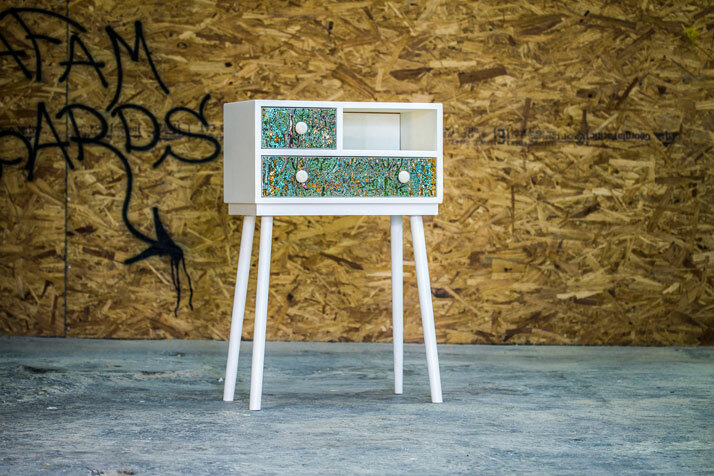 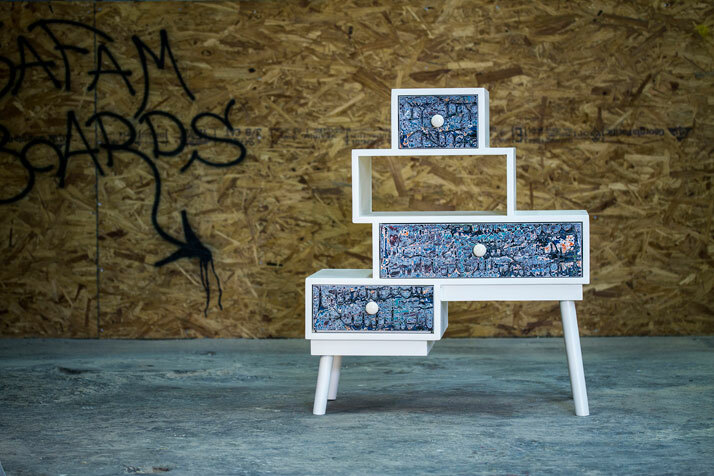 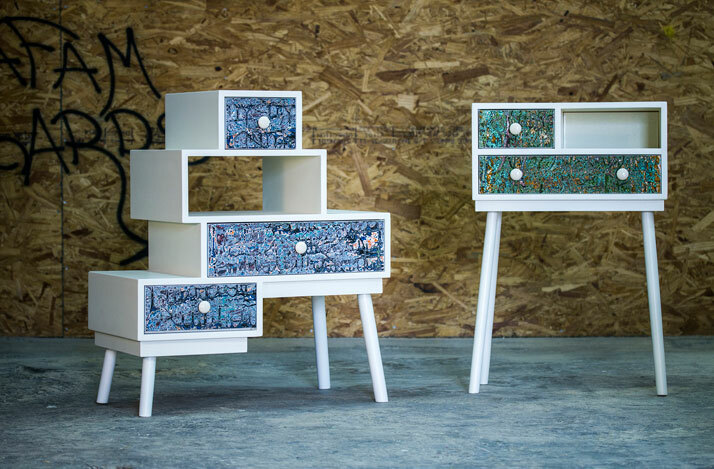 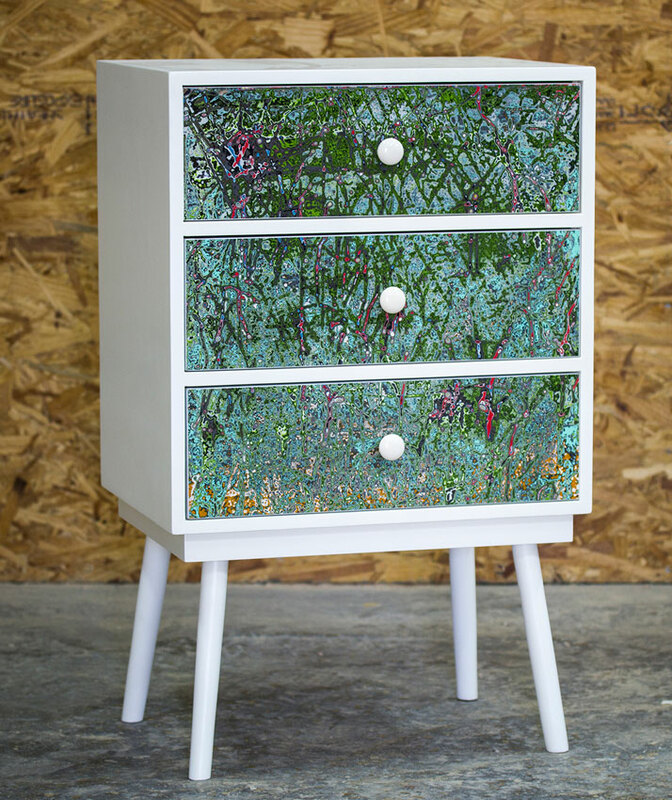 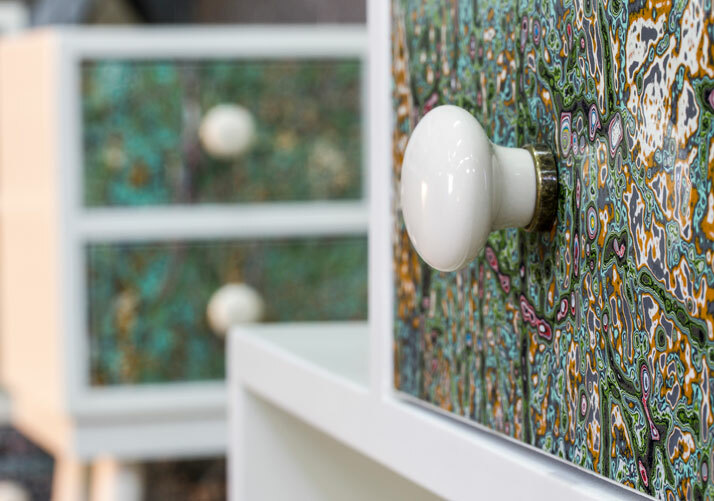 An Israeli product designer decided to put all this wasted paint to use in his home country and in doing so has developed methods for collecting and processing it to create beautiful objects and furniture - while of course doing the environment a huge favour!. 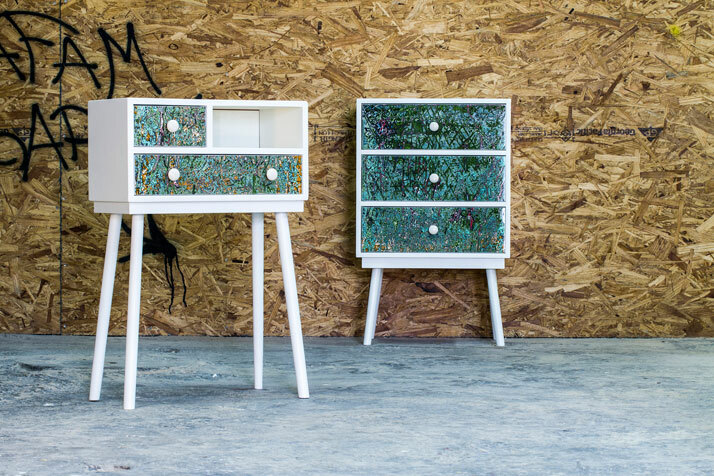 Shahar Kagan, a product designer based in Tel Aviv, has created special moulds for collecting waste polyurethane paint from paint workshops. 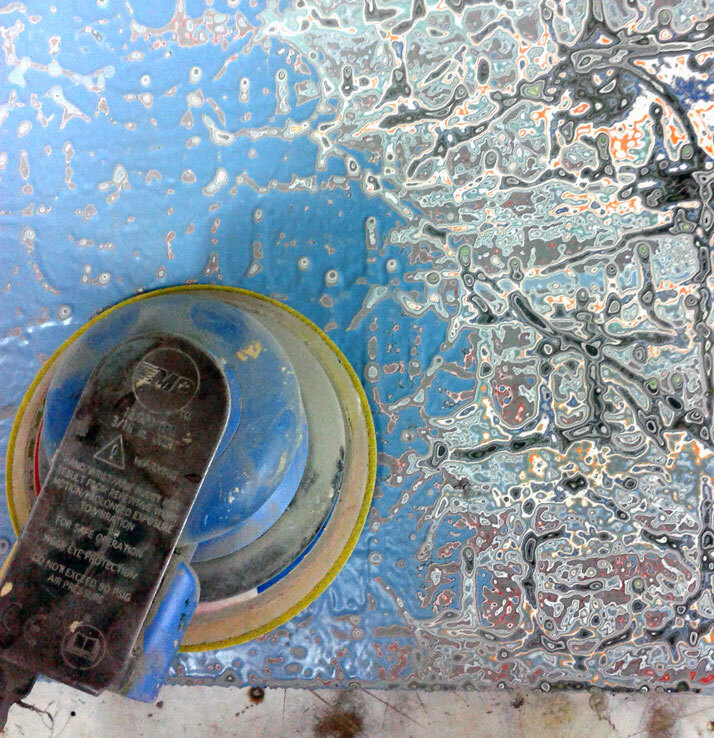 The waste paint is simply poured into the moulds and left to dry. 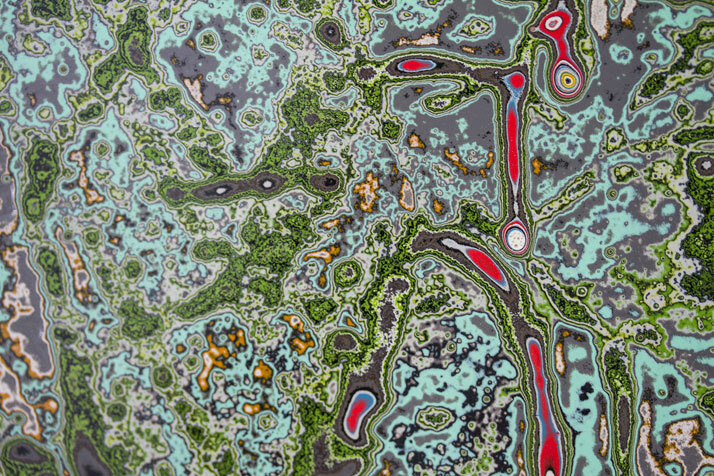 With every passing day, and as more layers of paint in different colours and chemical consistencies pile up, the paints react with one another in a variety of unexpected ways. 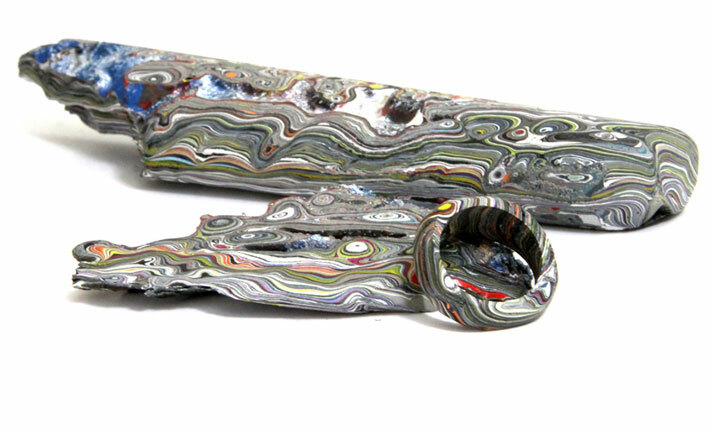 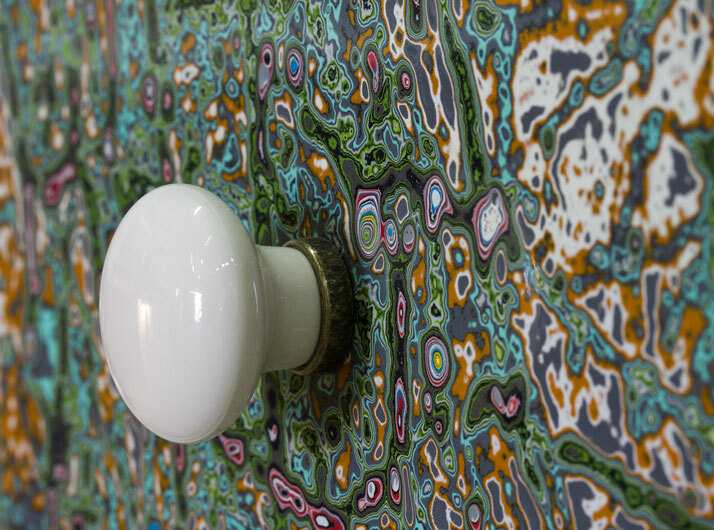 The result of this process is chunks of solid paint that look like some kind of sedimentary rock, the end result of thousands of thin layers consisting of random colours and designs. 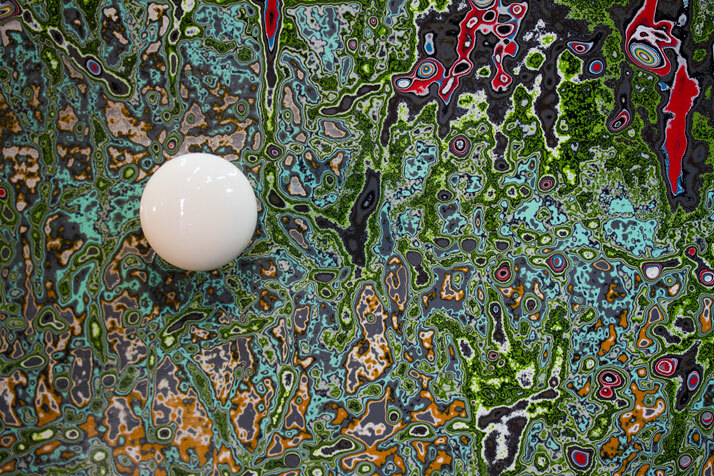 The material (dubbed ‘‘Fossil’’ by Shahar Kagan for obvious reasons) can be worked upon through conventional carving and sanding techniques, from drilling to laser-cutting. 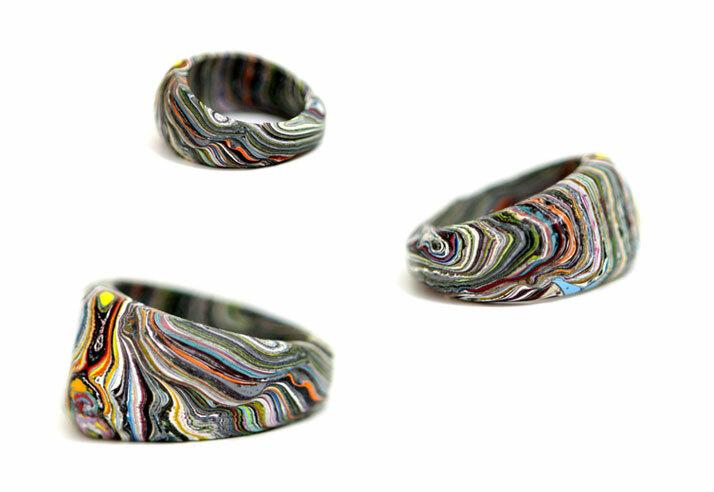 In this way, solid objects are then created out of the impressively durable material (Kagan has created finger rings and working tools to demonstrate the material’s potential). 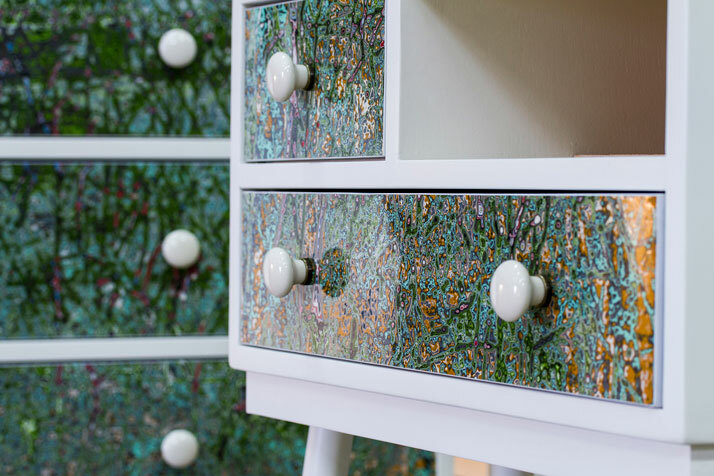 Another application is to actually spay the material on wood or other surfaces to create the ‘‘fossil effect’’ on furniture which can take up to four months to complete, because of the slow drying times and the number of coatings required. 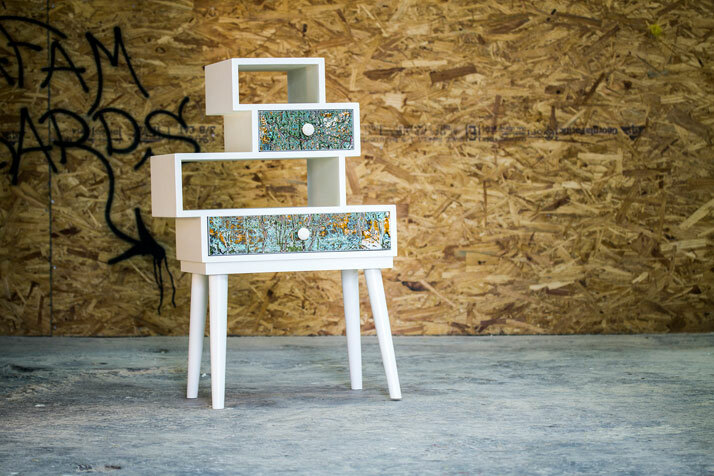 [YatzerTip]: Discover our previous article about a similar recycling process here (NewspaperWood).